miche starter kit sale | Sophisticated Diva ~ A.K.A. Along came Polly! 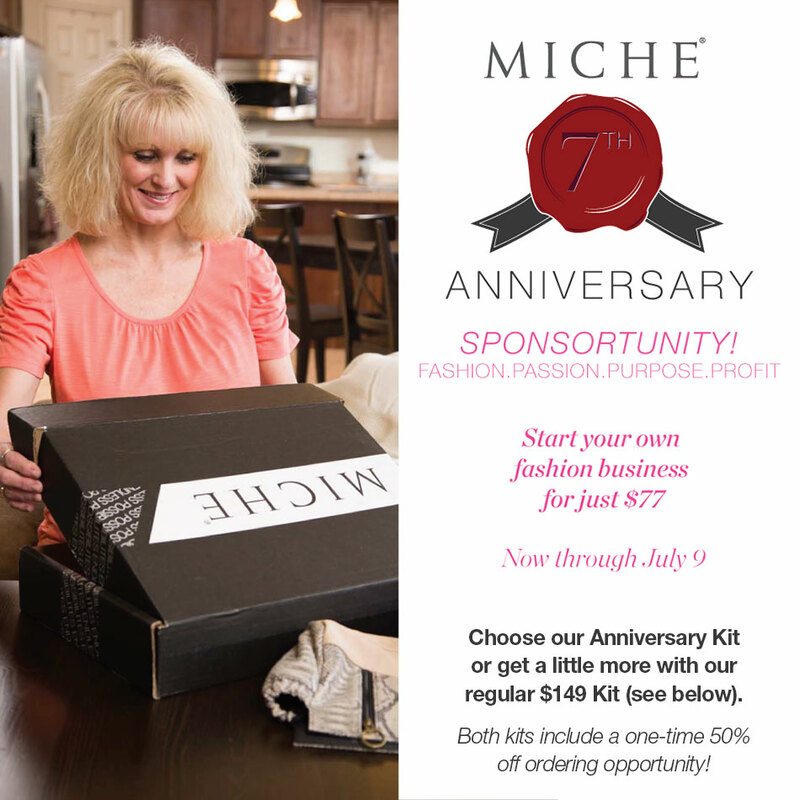 Miche’s 7th anniversary–celebrate with $77.00 start up kits, become a representative today!! Help us celebrate Miche’s 7th anniversary!! Have you always wished you could sell Miche, but couldn’t afford the starter kit? Have you always wondered what FUN I have as a Miche representative? Do you work really hard — but have no “fun time’ at your day job? Work really hard for yourself, and reap those rewards! Meet women, earn prizes, including free trips, ipods, and other great rewards, recognition, and of course, the PAYCHECK! RIGHT NOW, through July 31ST , join us for only $77.00!! THAT’S CHEAPER THAN A CLASSIC BASE AND TWO SHELLS!! Why buy your favorite, when you can SELL your favorite?? Your starter kit includes your first year website fee for FREE!! FREE!!! New representatives can order one of each product for 50% off within 30 days of joining, meaning—YOU can get your FAVORITE shells, and your kit IS a tax deductible business expense!! To find out more information on our lucrative compensation plan, the starter kit, and learn how YOU can benefit from joining MY team, contact me at sdhmhandbags@aol.com — call me at 815-721-5549, or visit my website now to see what is included in your $77.00 kit!! YOU’LL BE AMAZED! CLICK HERE to go there!! 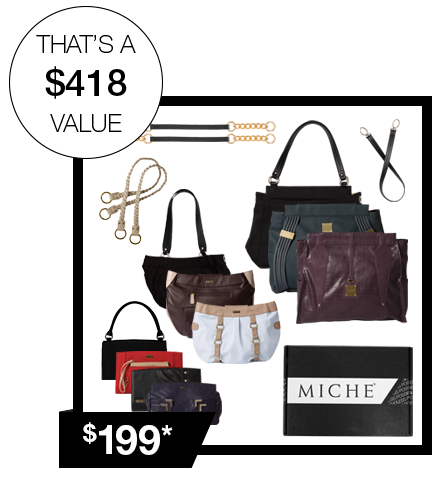 Here is what you’ll get for $77.00 ~ it’s a Miche bargain! If you miss this call, there’s a new registration link weekly!! Don’t hesitate to contact me at sdhmhandbags@aol.com to learn more~~ or visit https://diva.miche.com/join-us and begin your enrollment today! Don’t delay, these prices end Feb 28, 2013! !